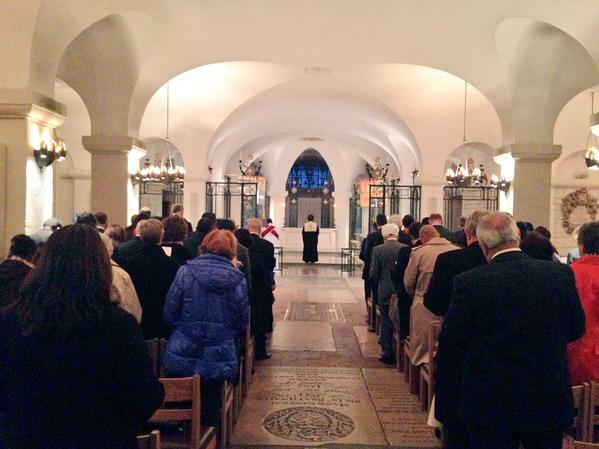 The Coptic Orthodox Church held an unprecedented prayer service in the Order of the British Empire Chapel in St Paul’s Cathedral, following an evensong service on Friday 16 October 2015 dedicated to victims of religious persecution and refugees suffering as a result of conflict in the Middle East. Evensong was led by The Very Reverend Dr David Ison, Dean of St Paul’s Cathedral, and attended by The Rt Revd & Rt Hon Dr Richard Chartres, Bishop of London, and His Grace Bishop Angaelos, General Bishop of the Coptic Orthodox Church in the United Kingdom. Also attending the service were a number of ecumenical, diplomatic and official guests, alongside members of the Coptic community in London. 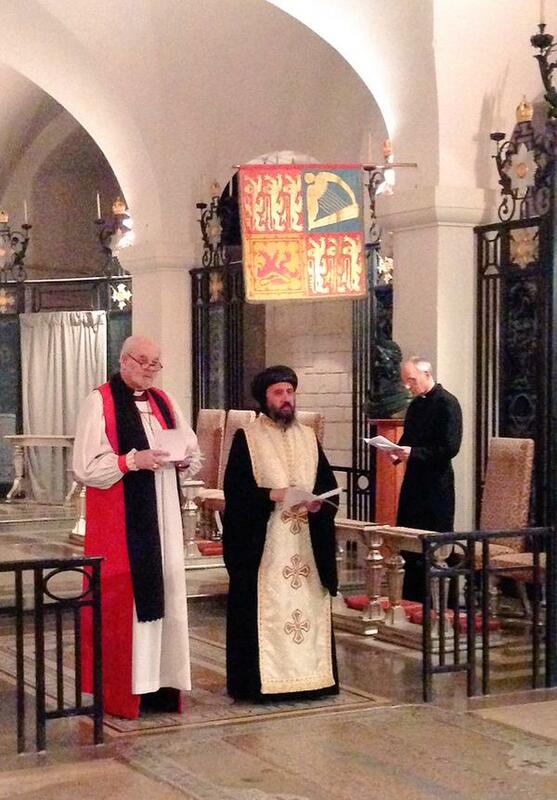 Following evensong, a Coptic Orthodox service of prayer was led by Bishop Angaelos in the Order of the British Empire Chapel for victims of religious persecution around the world. Prayers were again offered for refugees fleeing conflict in the Middle East. You are very welcome to be here on this day as Bishop Angaelos has received the award of the Order of the British Empire and is now with us in this joyful yet solemn occasion, doing what his award is for; promoting religious freedom. Although it is a day of joy for us, it is also a day of sadness in that there are many in the world who do not have religious freedom, and the work continues. I am thankful for the wonderful and gracious hospitality we have received, in being able to use this great Cathedral, this place of prayer, and the cornerstone of life in London and in Britain, to celebrate both evensong with the Church of England and to pray the Coptic Rite together in this Chapel for the first time. There is no greater representation of love, fellowship, companionship and a single journey that we all travel together in this great Nation, as the Body of Christ. Being here and praying for those who are still victims of religious persecution is bitter sweet, because it is a shame that we still need to. We must continue to pray for all who suffer, as this tragic situation is still a reality, not only for Christians, but for many around the world in numerous countries. We pray for those living hardship and persecution, and those seeking refuge, as well as those who are accepting them so graciously…We must be appreciative of the hospitality currently offered, even if we continue to strive in extending this hospitality further. 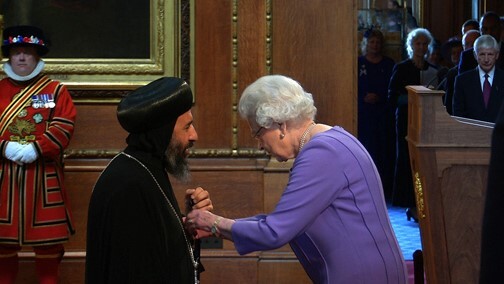 The prayers at St Paul’s Cathedral were offered on the same day that Bishop Angaelos was formally invested as an Officer of the Most Excellent Order of the British Empire for ‘Services to International Religious Freedom’ by Her Majesty The Queen at Windsor Castle. The Order has been one that recognises outstanding contributions, excellence and achievement in all sorts of fields…it is a particular honour that now we have as a most distinguished member of the Order, Bishop Angaelos. …his immense work…to bring together not only Christians, but people of all faiths in this Country. His Grace has been a very keen supporter of the work that we are doing in parliament, and an amazing support to those of us who are standing up for religious freedom, and he has also introduced us to the wider community. 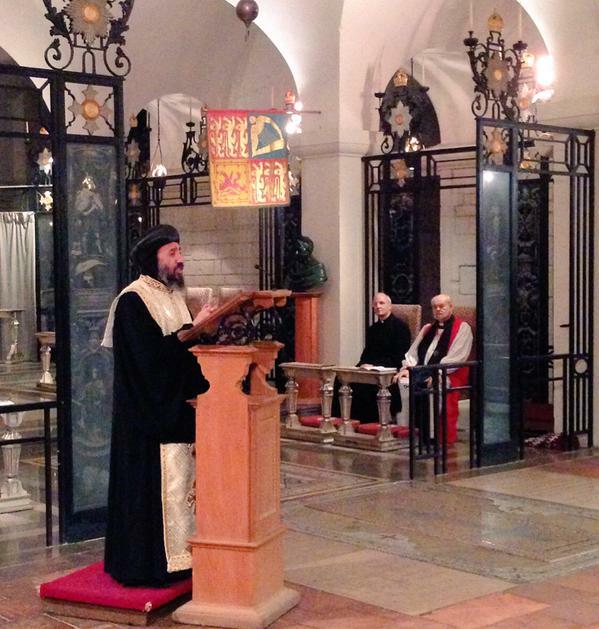 0 Comment(s) to the "Historic prayers at St Paul's Cathedral on the same day Bishop Angaelos receives OBE"